There’s no denying that Led Zeppelin’s “Black Dog” has one of the best riffs ever in rock history. The song has inspired so many musicians and future generations, and will always be a landmark in music history. But unfortunately, the chances of us hearing the song performed with any remaining members of Led Zeppelin perform this gem live again, are pretty slim to none. 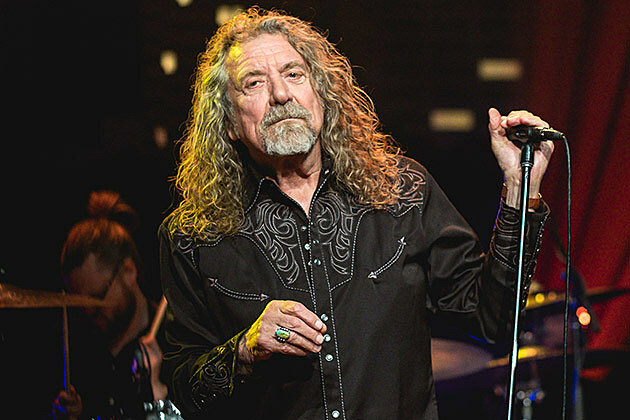 In the meantime, however the former, Zeppelin lead singer Robert Plant has been playing this classic rock track solo for many years. 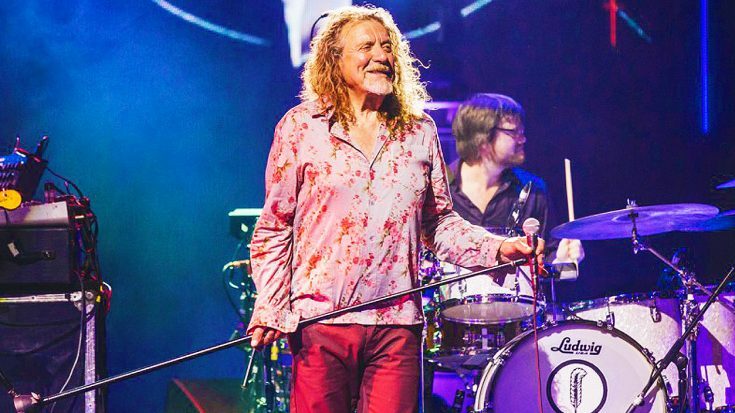 During his return to Austin City Limits recently, Robert Plant and his band The Sensational Space Shifters had this song in the setlist, but put an especially unique twist on the song . This version of “Black Dog” that Plant plays has a Latin, bluesy and cosmic vibe. There are a few synths included, the song is drawn out to a longer length, there is added percussion and the riff is slightly altered. We must admit, it’s a unique spin on the song, but we love it! It definitely keeps the song fresh and allows it to touch on an alternative vibe! The only thing that would make this any better, would be if Jimmy Page were playing guitar, John Paul Jones was on the bass and Jason Bonham (John Bonham’s son) was kicking on the drums . About Austin City Limits offers viewers unparalleled access to featured acts in an intimate setting that provides a platform for artists to deliver inspired, memorable, full-length performances. The program is taped live before a concert audience from The Moody Theater in downtown Austin. ACL is the longest-running music series in American television history and remains the only TV series to ever be awarded the National Medal of Arts. Since its inception, the groundbreaking music series has become an institution that’s helped secure Austin’s reputation as the Live Music Capital of the World. The historic KLRU Studio 6A, home to 36 years of ACL concerts, has been designated an official Rock & Roll Hall of Fame Landmark. The October 22nd episode of Austin City Limits will be split between Florence + the Machine and Andra Day, followed a week later by Iggy Pop’s hour-long episode. 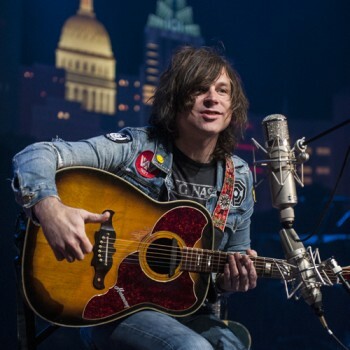 Ryan Adams performed on tonight’s episode of “Austin City Limits.” He played an acoustic set of songs from across his discography. check out Adams’ setlist below. Adams’ performance of “If I Am a Stranger” did not make it to the TV broadcast. Watch him play the song in a web-exclusive clip below. Ryan Adams the singer-songwriter who first appeared on Austin City Limits in the late ‘90s with his beloved band Whiskeytown, returns to the program this Saturday for a stripped-down solo acoustic set. the track “Gimme Something Good” from the ACL session, as well as “If I Am A Stranger,” which will not be part of tomorrow’s broadcast. The second portion of the show features a performance from Austin’s own Shakey Graves. The next episode of Austin City Limits features Ryan Adams and Shakey Graves, a couple of singer-songwriters with their own distinct approaches to folk-rock. In advance, ACL has shared footage of Adams performing a tender solo version of “My Wrecking Ball” from his self-titled 2014 LP. Watch Adams in his element below. 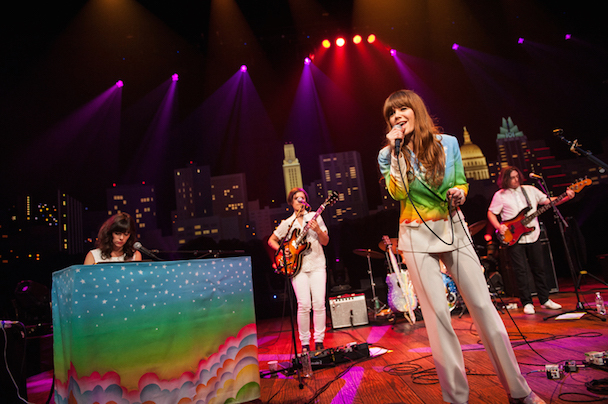 Jenny Lewis and Ryan Adams were the featured performers on the last weekend of January’s episode of Austin City Limits. Lewis played tracks from her two solo albums and a few Rilo Kiley tracks, while Ryan Adams did as much of a career-spanning set as he could with only six songs. This was Jenny Lewis’ first solo appearance on the show, and her first time on the show in almost a decade after she performed with Rilo Kiley in 2005. Adams hasn’t graced the ACL stage since 2006. Jenny Lewis also performed a web exclusive “Slippery Slopes” one of my personal favourites. Ryan Adams and Jenny Lewis have become inextricably linked in the past year; Adams was heavily involved with Lewis’ recent great album “The Voyager”, they both have been deriving inspiration from Tom Petty, and lately they’ve been touring together and guesting on each other’s songs. They even played The Jimmy Kimmel show together! Now they’re also sharing an episode of Austin City Limits, which airs this weekend on PBS. Below, check out a preview of the episode, Adams performing the awesomely Jackson Browne-esque “Let It Ride” from Cold Roses. “Stay With Me” , “Let It Ride” , “Do I Wait” , “Dear Chicago” , “When Summer Ends”, “Shadows”. Not included in the original television broadcast. Last year, Ryan Adams and Jenny Lewis hit the road together in support of their new albums; in Adams’ case, it was his self-titled LP, while Lewis showcased her Adams-assisted third solo album The Voyager. One of their stops was an appearance on the Austin City Limits stage, and now both the Lewis and Adams performances will be featured in an ACL episode set to air this Saturday, January 24th. While Adams’ six-song televised set will feature Ryan Adams tracks like “Stay With Me” and “Shadows,” this web-only performance of the Ashes & Fire opener “Dirty Rain,” with Adams and his stellar backing band faithfully recreating the track’s bluesy, organ-heavy sound on the ACL stage. “We came here to play you really depressing music, but really loud,” Adams tells the ACL crowd. The show marks the rocker’s first visit to the esteemed Austin venue in over a decade. The other half of the January 24th episode is dedicated to Jenny Lewis, who makes her debut ACL visit as a solo artist and her first appearance on the show in nearly a decade, when she performed with Rilo Kiley. For her six-song televised set, Lewis taps new album tracks alongside “Acid Tongue” and the Rilo Kiley single “Moneymaker.” watch Lewis and her band take on “The Voyager’s” “Slippery Slopes.” Jenny Lewis and Ryan Adams will also hit the road together for a string of dates kicking off April 30th in Louisville, Kentucky.